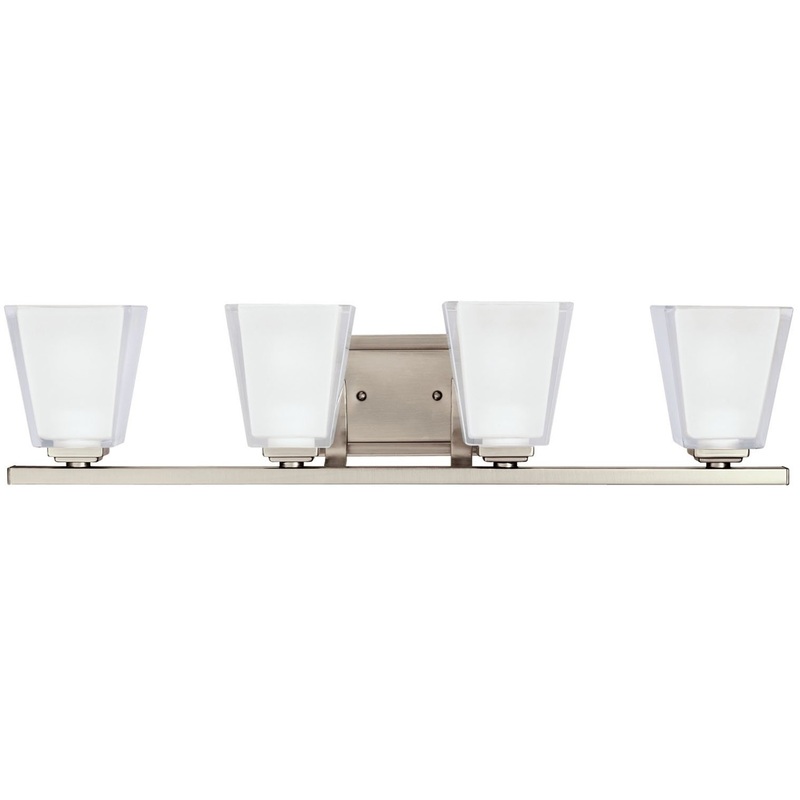 Bringing a new dimension to bath lighting is the play of chunky glass, which is polished on the exterior and etched on the interior, all fastened to a stacked four light fixture in Antique Pewter finish. A warm and stylish architecture for your bathroom. 100-W. Max. (M) Width 27"", Height 6-1/2"", Extension 7"". Fixture may be installed with glass up or down. Height from center of wall opening with glass up is 3-1/2"". Backplate size: 4-1/2"" x 8"". U.L. listed for damp location.